Tsvi Ram - an experienced Israeli neurosurgeon and neurooncologist, recognized worldwide as an expert, and professor, is actively used in the medical practice modern methods of diagnosis and treatment. Dr. Ram holds complex minimally invasive surgery to remove brain tumors. In ihis work, Tsvi Ram uses only high-tech equipment. After finishing medical school in the United States next famous surgeon continued to receive specialized education in Israel, where it is then passed traineeship in neurosurgery at the clinic Sheba. The professor has more than 30 years of experience in complex with clinical cases, a number of scientific publications and research behind him. Scientific Consultant of many biotech companies. surgery for metastasis of malignant tumors in the brain . Head of Oncology Department, a world-class specialist in the treatment of liver cancer of the gastrointestinal tract, breast cancer for many years trained at US hospitals. 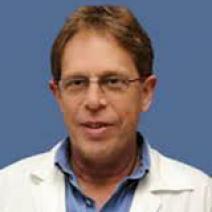 A leading specialist in the diagnosis and treatment of urological and oncological urological diseases in Israel. Provides diagnosis, prevention and treatment of: benign prostatic hyperplasia, prostate cancer, prostatitis. He has extensive experience in the field and carry out complex operations involved in brachytherapy.